Some kids like to explore. Now we don't mean poking around the backyard. No, we mean climbing trees, collecting bugs and wildlife, documenting foliage, and getting dirty. We're talking exploring in the most in-depth sense of the word. Kids that camp outside, hike through the woods, and track down critters... some kids are just outdoors kids. Which probably means they wouldn't want costumes of doctors and spacemen. 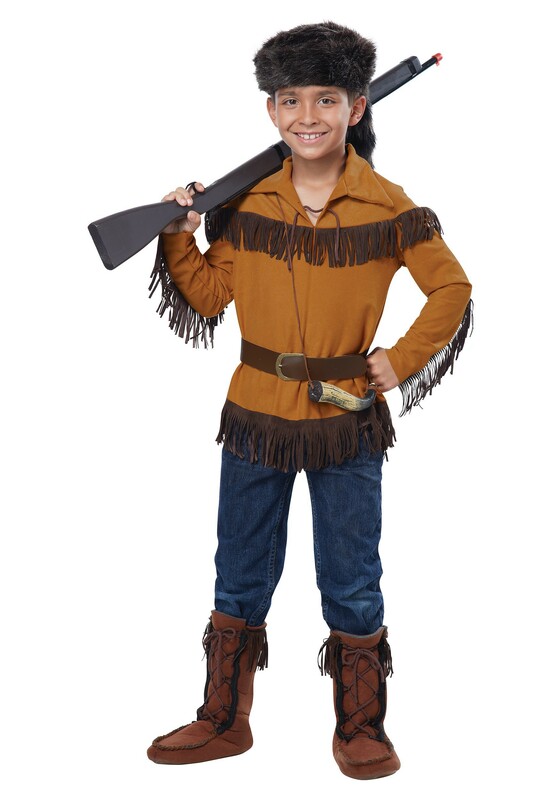 No, they'll need something to suit their tastes, something like this Kids Davy Crockett Costume. Davy Crockett is a famous American frontiersman. Known for feats like defending the Alamo, the legends around this folk-hero are far more colorful. From killing a bear when he was three to killing one with only his knife as an adult, we're pretty sure Davy Crockett was like the Chuck Norris of the frontier. Seriously. His stories just keep getting bigger and more crazy. There have been plays and books about it. Go check it out. As such an epic man of the woods, he would be the perfect icon for your outdoorsy kid to dress up as. 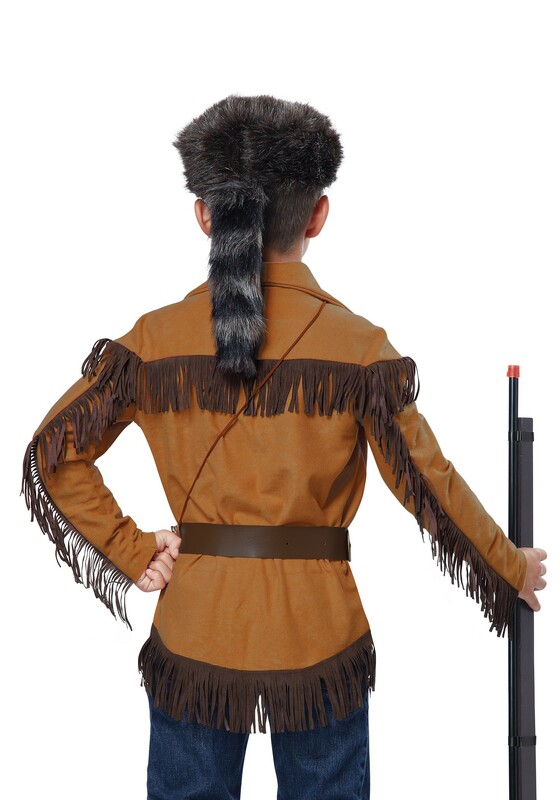 Whether for play or party, our Kids Davy Crockett Costume should do the trick. There's a flannel shirt with faux fringe, faux leather belt, a "coonskin" hat, and powder horn. Add a couple knives, hatchets, and rifles and your little one will be ready to take on whatever trouble comes bounding out of that forest.